Becoming foster parents is one of the most rewarding things my wife and I have ever done. The reality is that we had no idea what we were getting ourselves into when we started. We knew we wanted children in our lives, but we really didn’t know what to expect. The day we got that first call, our world changed forever – for the better. 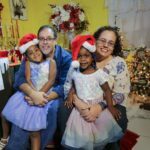 Our girls were in our home for nearly three years as foster children before we got the incredible opportunity to create our forever family on adoption day November 19th, 2016. Then began the journey from being the best foster parent to the best parent. Not every foster family experience is like ours. The goal of foster care is the reunification of the family, as it should be. So many foster parents get to parent these incredible children for a short time and become part of the healing process for these families. Some families even experience multiple placements with the same children, as they go back to their biological parents, only to enter foster care again. Regardless of what your experience will be in the future, there are things you need to be aware of before you begin. To be the best foster parent you can be for these children, you need to be prepared. Here are some of the most important things to consider. You need to understand your role as a foster parent and accept the goal of reunification. This is not an easy thing to accept. Your heart may be broken when the child you have been loving and caring for goes back to their biological family. Understand that these children want and need to be with their parents as soon as they are able to take them back. According to www.childwelfare.gov, for 2015, 51% of the children in foster care returned to their biological families, and about 22% were adopted. 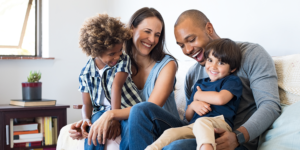 If your sole reason for becoming a foster parent is to adopt, you may need to re-evaluate your decision. The children in foster care have experienced great trauma and loss. They are hurt and need healing. This will require a great deal of patience on your part. It is not like regular parenting. You will need the help of your caseworkers, friends, family, and possibly professionals to help the children in your care. A large majority of children in care are there because of a substance abuse problem, abuse, or neglect. Those are tough issues to deal with, and they don’t go away quickly. Foster parents fall in love with foster kids, and they do whatever they need to do to help. You will need to fight for your foster children. I would love to tell you that the child welfare and court systems work like a well-oiled machine, always doing what is best for the children. Unfortunately, because of the red tape and bureaucracy that exists in all government agencies, foster parents must be the voice for their kids within the system. That means going to court hearings, calling caseworkers for services, and driving the kids to visits and other meetings. Again, we love our kids, and we do what we must do. Be prepared for it. It gets frustrating for sure, but never lose sight of why you are doing it. The points I mention are only the beginning. You will need to learn as you go in this incredible journey as a foster parent. Every child is different, with their own situation and challenges. So, the best advice I can give is to take it one day at a time. The most important thing foster kids need is foster parents who fall in love with them and show it daily. But let’s face it. You won’t know from one day to the next how long they will be with you. So, take advantage of every day you have with them. Use every day to help heal their hearts, and help them grow into the healthy and happy adults they deserve to be. I am just a regular guy, doing a regular job. A few years ago, my wife and I got the incredible opportunity to become foster parents. In 2016, we adopted our two daughters on National Adoption Day. Our family is proof that miracles do happen, if you are paying attention.